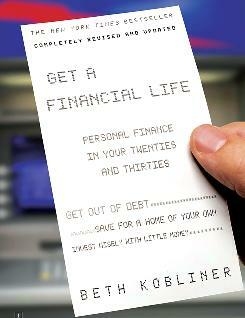 Get a Financial Life is a real-world guide for "millennials" that teaches young people tricks for becoming the masters of their financial universes. Get a Financial Life focuses on what you need to know when you're just starting to pay serious attention to money matters. Whether you earn $20,000 or $200,000, Get a Financial Life can help you navigate the new world of personal finance. From debt and housing issues to banking, investing, taxes, and insurance, the book offers solutions and tools, and covers everything a young person needs to know to get on the path to financial security. Kobliner reveals surprising information along the way, like why the latest trends in health insurance can hurt you, and why money market accounts can be among the worst places to save. Dig yourself out of debt. Buy a home in spite of the credit crunch, mortgage crisis, and a low salary. Restore credit. Find out why credit scores matter, and how to get yours to 720 or higher. Find a safe bank amid the latest bank scares and what to watch out for in online banking. Profit from the stock market - the smart way - even if you don't have a lot of money. Save big money on insurance by shopping around and skipping coverage you don't need.